In the placid university town of Boulder, Colorado, a battle rages that will shape the future of the city and its citizens. 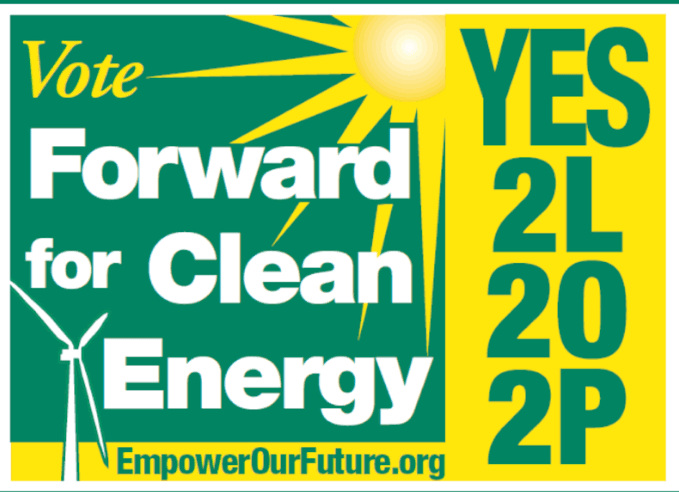 On November 7th, Boulder voters will choose to keep the City on a course to more affordable energy, renewable energy and municipal sovereignty. Or they will compromise themselves and remain in energy serfdom to Colorado’s large investor-owned utility, Xcel Energy. The battle focuses on three ballot options: 2L, 2O and 2P. But at issue is a community’s right to choose how to meet its energy needs. It’s a local struggle with national implications. Who can best power your home: distant corporations or you, your neighbors and your community? In Boulder, a small group of renewable energy activists suggested that the only way their community would meet its aspirations to become 100% renewable was to create a municipal utility. City staff had less than no interest. It was easy to re-up their franchise with Xcel. Staff members trying to negotiate with their coal-fired provider finally decided to join the activists. They asked residents which way they wanted to go. Xcel outspent clean energy activists ten to one, threatened lawsuits, and generally revealed their corporate bias. And residents voted to municipalize.